Visiting Old City or just looking to better appreciate what it has to offer? Get to know this Philadelphia neighborhood by browsing its most popular local businesses, from a Japanese restaurant to a classic ice cream parlor to a Sichuan spot. Hoodline crunched the numbers to find the top places to visit in Old City, using both Yelp data and our own secret sauce to produce a ranked list of neighborhood businesses. Read on for the results. 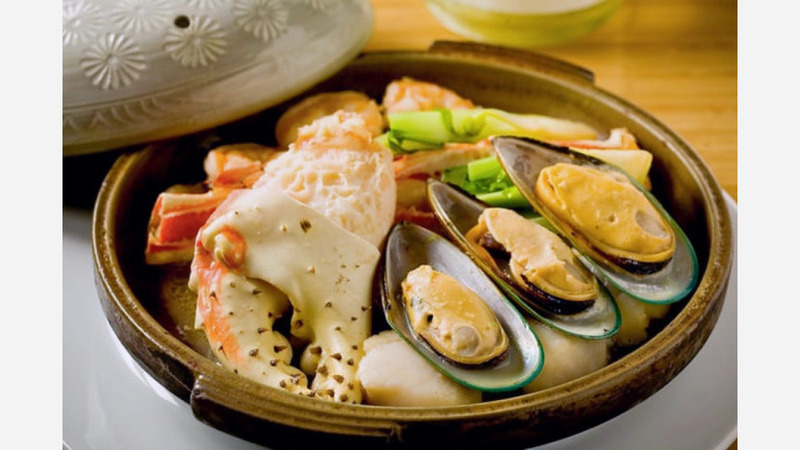 Topping the list is sushi bar and Japanese spot Morimoto, headed by world-renowned chef Masaharu Morimoto. Located at 723 Chestnut St., it's the most popular business in the neighborhood, boasting 4.5 stars out of 1,629 reviews on Yelp. A second outpost opened in NYC in 2006. Dining options include a mix-and-match a la carte meal, omakase (multi-course tasting made of chef's choices) and a tailored tasting menu. Look for the tuna pizza: tuna sashimi, jalapeno, olives and anchovy aioli atop crispy tortilla. Hot appetizers include seasonal mushroomsserved in a cast-iron pot with chicory and fresh herbs. For your main course, check out the Duck, Duck Duck: roasted duck breast served with duck confit fried rice, duck egg and mandarin oolong reduction. 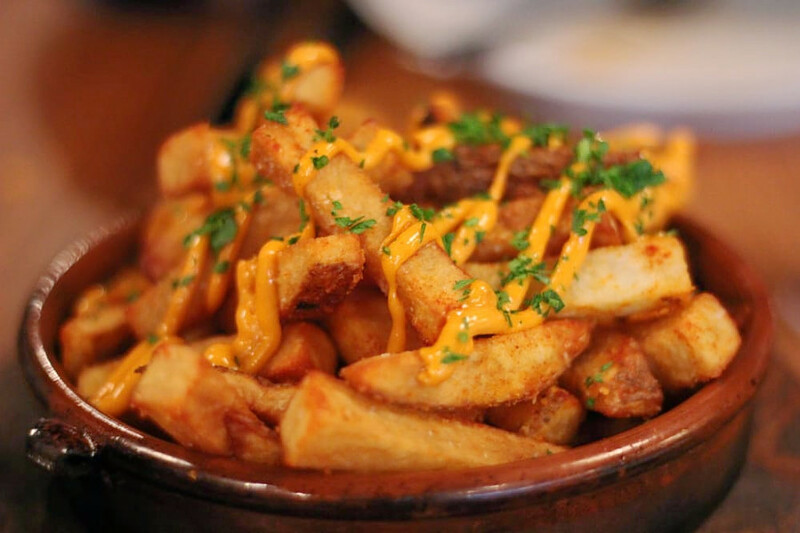 Next up is Spanish small-plates spot Amada, situated at 217 Chestnut St. With four stars out of 1,826 reviews on Yelp, it's proven to be a local favorite. Visitors can expect a six-seat chef's counter overlooking the open kitchen, a second dining room and lounge area and a spacious bar area reminiscent of a typical Spanish bodega, complete with hanging jamons (a type of Spanish ham), per its website. In addition to this spot, chef Jose Garces has a dozen restaurants around the country and the coveted title of Iron Chef. Specialties include the Cochinillo Asado: roasted suckling pig served with grilled green onions, herb-roasted fingerlings, spinach, chickpeas and rosemary white beans. Bakery ICI Macarons & Cafe, which offers coffee, tea, pastries and macarons, is another top choice. 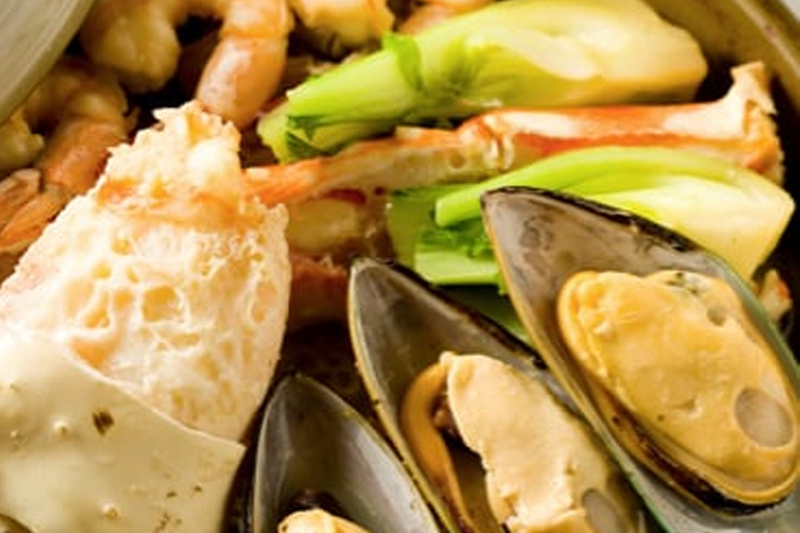 Yelpers give the business, located at 230 Arch St., five stars out of 158 reviews. Look for the banana chocolate croissant and the ginger, pear and berries kouign-amann, encased in caramelized sugar. 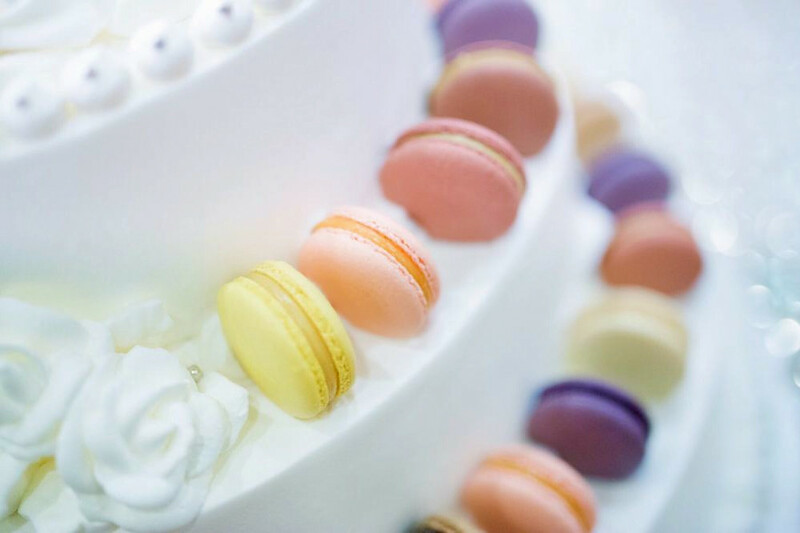 Macaron flavors include the classics -- hazelnut, chocolate, pistachio, to name a few -- as well as some specialty options, including Earl Grey and lime basil. Sweet treat spot The Franklin Fountain is another high-traffic neighborhood go-to, with four stars out of 1,706 Yelp reviews. 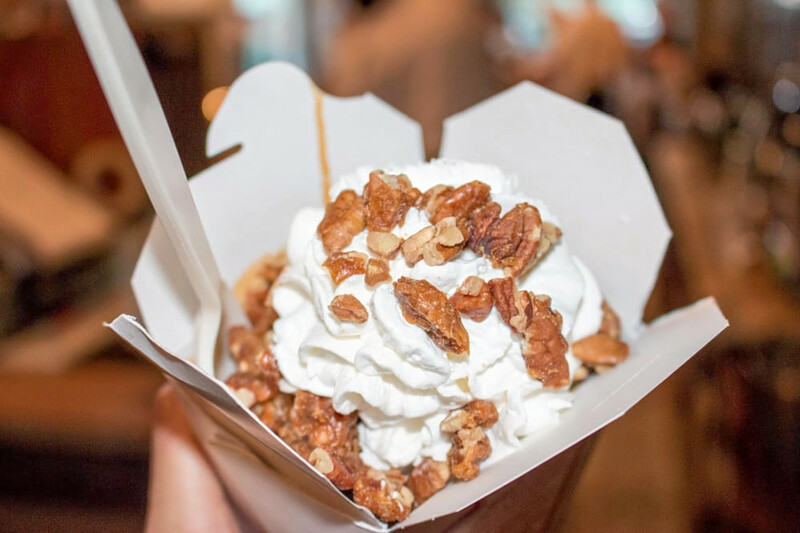 The classic ice cream parlor sources its ingredients locally with milk and cream from a family dairy's grass-fed cows, nuts from South Philadelphia and honey and spice ingredients from Franklin's rooftop apiary and the herb garden at Shane's, the shop explains on its website. Check out the Franklin Mint: mint chip and vanilla bean ice cream covered in chocolate syrup, fluffy marshmallow glaze and fresh mint syrup, finished with house-made whipped cream and a mint chocolate coin from Shane Confectionery. Head over to 116 Market St. to see for yourself. Finally, there's Han Dynasty, which has earned four stars out of 1,273 reviews on Yelp and has several locations including restaurants in Manayunk and University City, per its website. Try the dry pot entree: your choice of meat served in a sizzling mini wok and cooked in a spicy hot pot sauce with black mushrooms, bamboo shoots, bell peppers and Sichuan peppercorns. 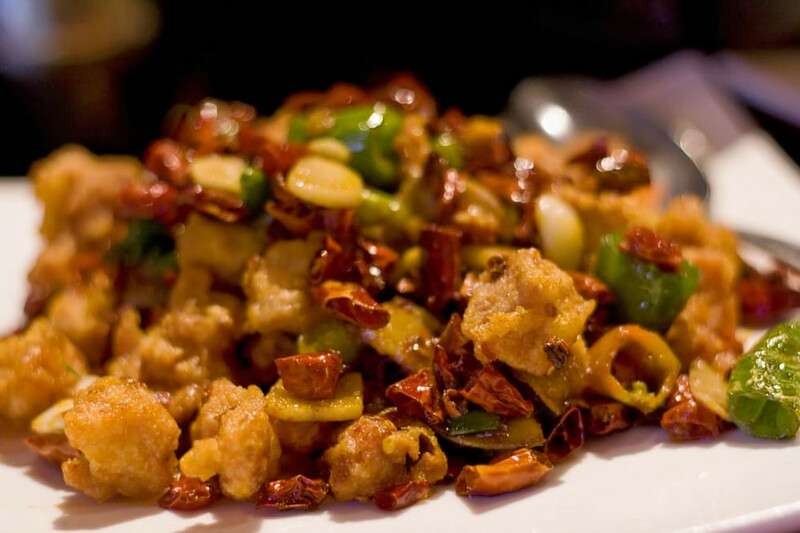 You can find the Sichuan eatery at 123 Chestnut St.
"I love Han Dynasty and their dan dan noodles are some of the best I had," wrote Yelper Sarah K. "Their food is always fresh and flavorful. I love that you can customize the level of spice that you want!"